Though eye-tracking technology has been used in reading research for over 100 years, researchers have only recently begun to use it in studies of computer-assisted language learning (CALL). 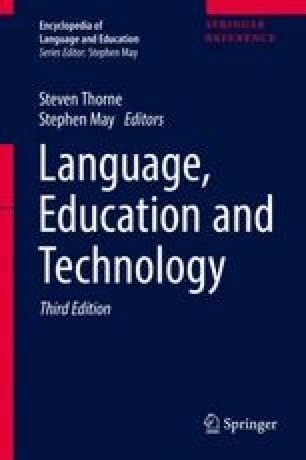 This chapter provides an overview of eye-tracking research to date, which is relevant to computer-mediated language learning contexts. We first examine some of the foundational work, basic assumptions and key constructs in eye-tracking research and then explore uses of eye-tracking in second language (L2) educational contexts. We then examine the modest but growing amount of research in CALL settings and illustrate the technique’s facility for contributing to SLA-relevant CALL research. We touch on some of the known CALL-relevant eye-tracking research in progress and also discuss some of the challenges researchers are likely to encounter when employing eye-tracking techniques. We end with a discussion of possible future directions and developments for eye-tracking in CALL settings.